Thank you! You can access your purchase on the next page. Before you do, check out this limited introductory offer. Can You Point And Click? If The Answer Is Yes Here Is How You Can Unleash 45+ Infographics In Less Than 60 Seconds Using Ready-Made Templates... Over And Over Again! Wow! Instant Info Graphics Presence is absolutely the best software currently on the market for creating info graphics. I have several other products and I can honestly say they produce top quality products and always over deliver. Now while Infographics Presence is great on its own, we really wanted to step it up and help you make the most of your internet marketing. Imagine you needed to get a new infographics out right now but you had less than 5 minutes to spend crafting a header design. Now imagine that all you had to do was to login, click on one of the 45+ done-for-you templates in various niches, play with the text a bit and “Voilà”, your new infographics is ready. 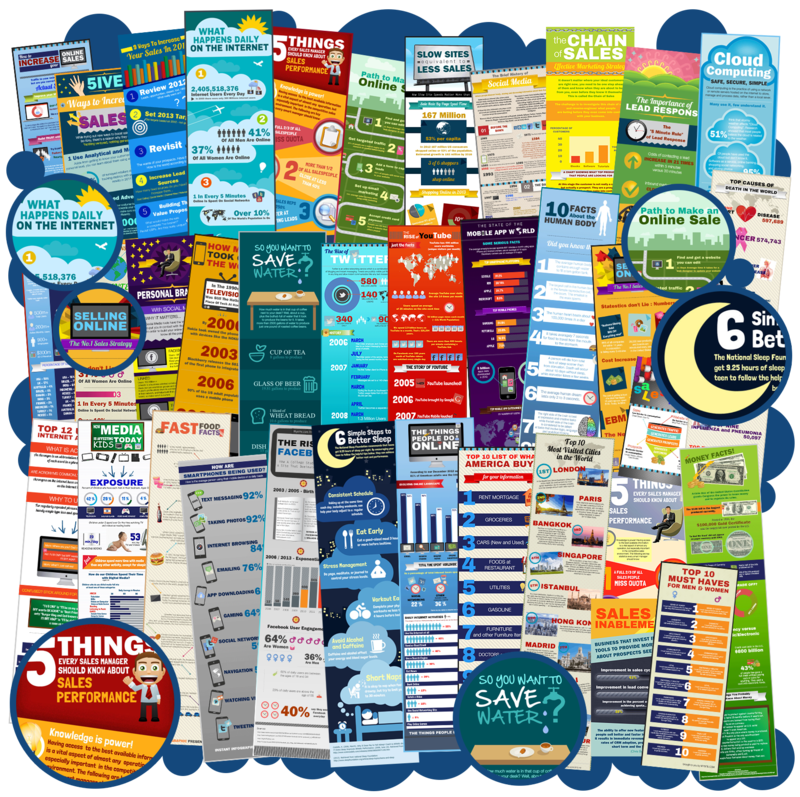 Use those for your online business, for offline clients, or even fanpages: the whole shebang. Now imagine that this is not wishful thinking, but a reality that you can live in today. Point, Click, Done... Quadruple Productivity And Results! Here is how the Upgrade features work. When you launch the software, you will see a list of the 45 templates above. Simply click on the design you like to start customizing it. Then add your details, upload your images (if needed) and download your infographics instantly. That’s all there is to it, it very easy, quick and simple to use. To get similar templates designed professionally would cost you at least $50 per templates (that’s $2,250 in total) but today you won’t have to pay anything near that. Get instant access to 45+ additional templates inside Infographics Presence for $67 $27 only. Simply click on the buy button below and as soon as you make your purchase you will have instant access to the 45+ extra templates inside the members area. It’s simple, easy and 100% secure.